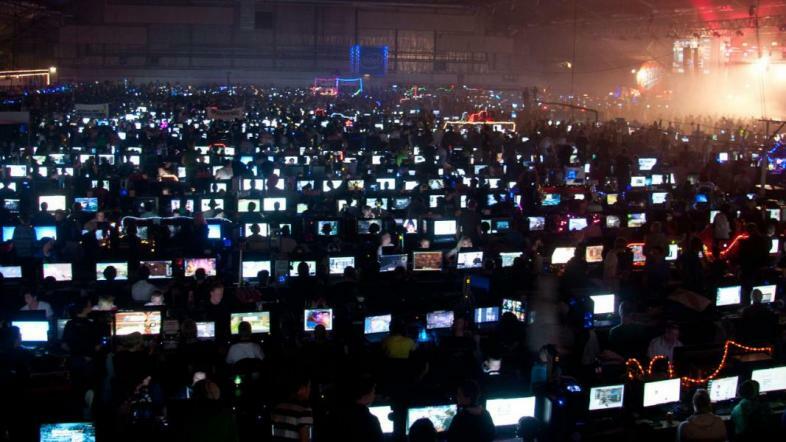 Although PC game sales have declined slightly in the last few years, the PC gaming industry is certainly alive and well. Jørgen Lindemann does not look or seem like a gamer. 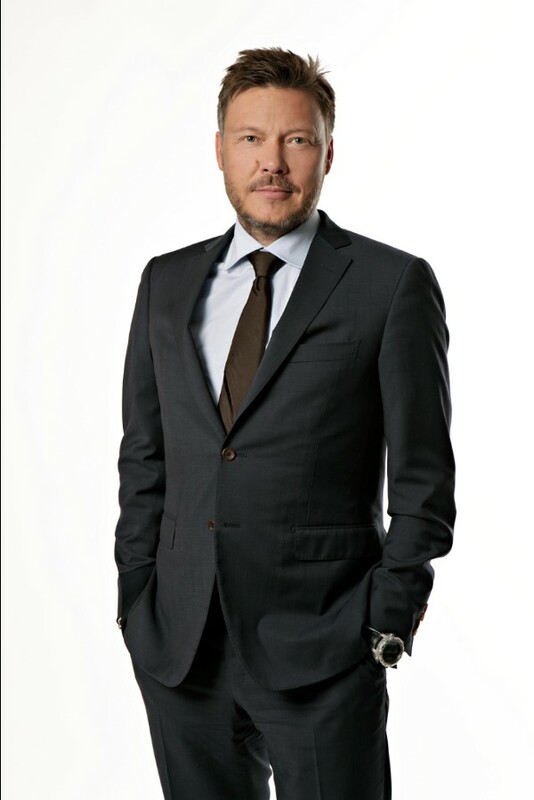 The Danish native is 51 years old, and has only previously worked in broadcast television. With his recent appointment to CEO of MTG (Modern Times Group), an international digital entertainment group, Lindemann has clearly seen the potential of eSports and virtual reality as they apply to digital entertainment. Since becoming CEO in 2012 Lindemann has bought a 74% stake in Turtle Entertainment (The largest eSports company under the eSports League brand), a 100% acquisition of DreamHack (Organizer of the World’s largest digital festivals), launched MTG’s first VR app, and has launched the first 24/7 eSports TV channel (Full list of acquisitions and beginnings here). Although not from a traditional gaming background, Lindemann sees the value in the growing eSports industry, and has invested heavily in its future, laying the groundwork for further expansion of eSports leagues and their popularity. Appointed CEO of Microsoft in 2014, Nadella has shown a surprising interest in gaming, and talked a lot about how he hopes to link Windows and Xbox more and more in the future. For instance, when taking over in 2014, he was quoted as saying that Microsoft had to be “mobile first, cloud first.”, stating that Microsoft should be the first multi-platform OS essentially. 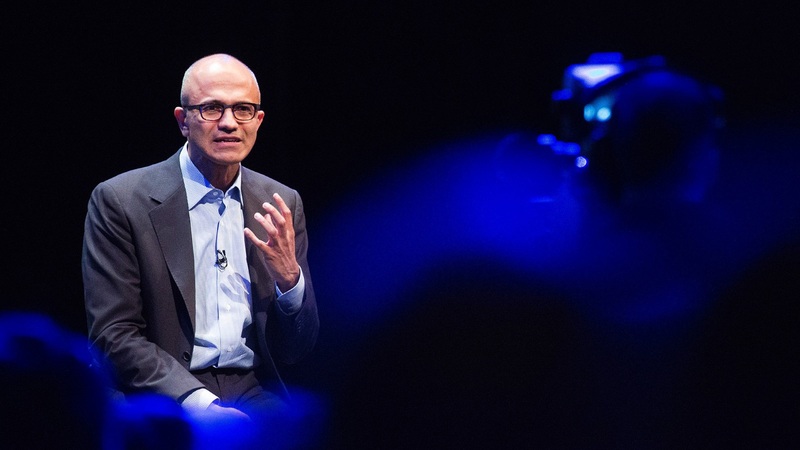 Nadella furthered this vision by suggesting that Microsoft products should be able to run on any and all devices, be it a Mac, Android, Nook, or whatever else. 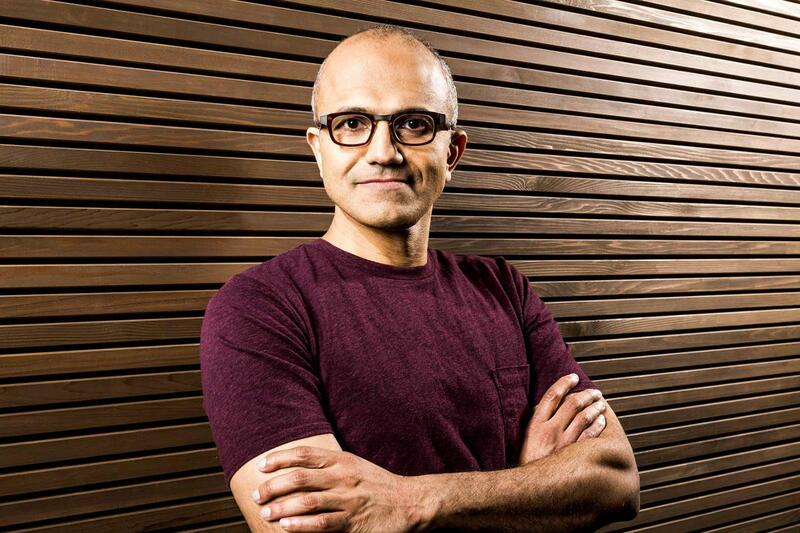 Nadella has worked closely with Xbox Developers to make sure gaming doesn’t get left behind. The true expansion of this idea however took on as Nadella pushed forward the Xbox Play Anywhere Program, a new setup involving PC and Xbox. As the webpage states: “ Buy once, play anywhere.” is the goal of the program, allowing players to purchase a game and play it on both PC and Xbox with save files being transferrable and syncable. This may not seem like an impressive step, but many gamers suffer from the ailment of owning a game for one console, yet wanting to play it on another, and being forced to decide whether to re-purchase the game anew or not. Nadella seeks to eliminate this problem by making games somewhat universal, allowing them to be played and transferred amongst any device you want to utilize, and thus returning to his original mission statement: “Mobile first, cloud first.”. Generally Nadella is credited with much success, with the Microsoft stock having risen over 60% since his appointment. 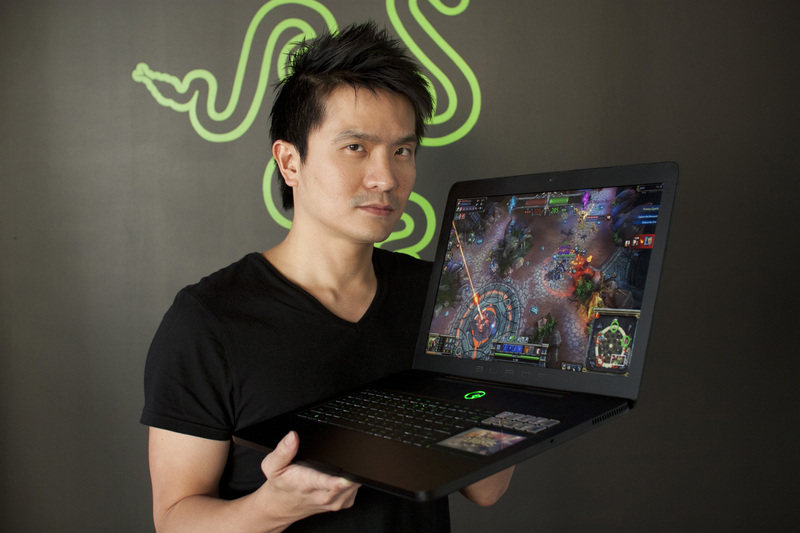 Liang-Tan pictured with a Razer Gaming Laptop. 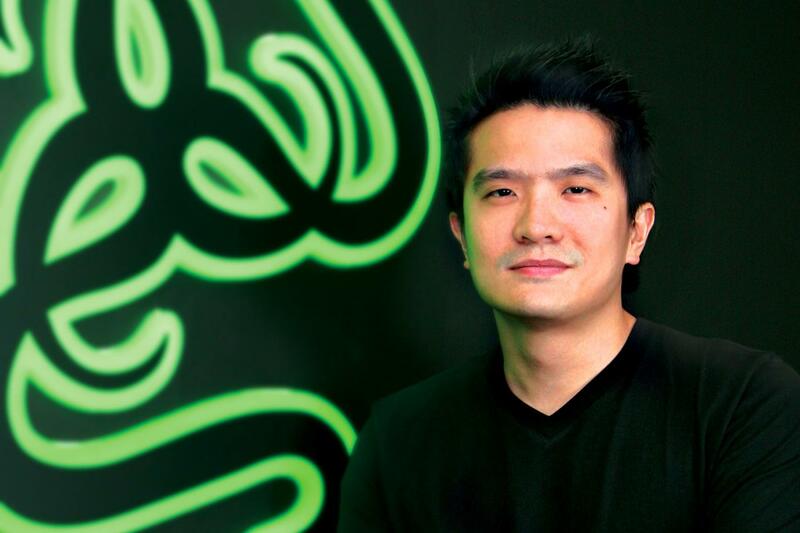 Although only established in 1998, Min-Liang Tan has rapidly expanded his company, Razer, pushing them into a wide variety of markets. First made to market mouse and keyboard hardware to gamers, Razer has expanded, now offering laptops, computers, hardware for computers, OSVR, and even wearable tech. Most recently, Liang-Tan & Razer have begun looking at the possibility of manufacturing a console or a handheld style laptop, powerful enough for games but also portable. Having won the “People’s Choice Award” three years in a row at the Consumer Electronics Show (CES 2015, 2016, 2017) Liang-Tan & Razer clearly display a knowledge and skill in producing what the masses want. Gonzalez and Aguila posing near older Alienware models. Alienware is a great example of a company seeing a market and then filling its space. 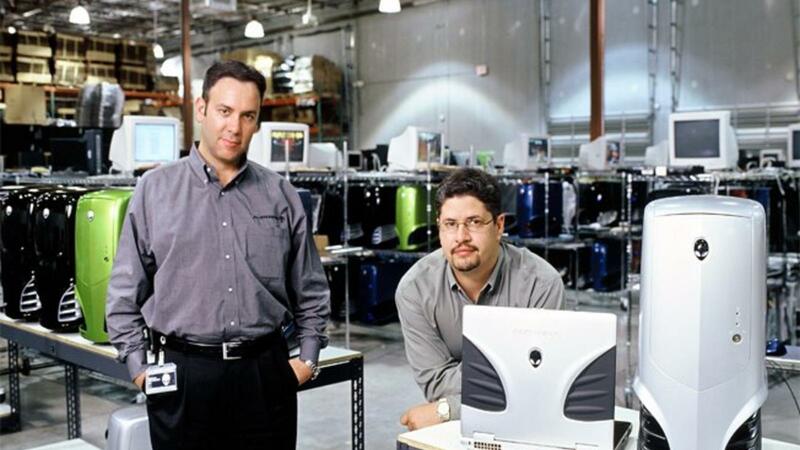 Started by Gonzalez and a close friend, Aguila the company was founded in 1996, seeking to make computers that were powerful enough to play games and make them run and look great! Best known for their trademark Alien logo, Gonzalez said he and Aguila decided on that logo due to a mutual love of the hit TV show “The X-Files”. Beginning in 2014 Alienware announced that they were beginning to pursue avenues into the console market, specifically in manufacturing and producing their own competitor against Sony and Microsoft. Although an interesting plan, it could be extremely difficult to break into the console market with the Big 3 (Nintendo, Sony, Microsoft) already firmly entrenched. Now eSports Leagues the world over host League gameplay, and the popularity of eSports has attracted new outside attention. 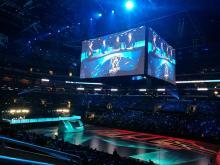 Most recently, the LoL World Championships of 2016, played in the Staples Center, California have attracted the group LA 2024 an organization putting a bid in for Los Angeles to host the 2024 Olympic games, and include eSports in the Olympics for the first time. If the eSport Leagues end up crossing into international Olympic gameplay, then eSports could truly take off even more than they already have! 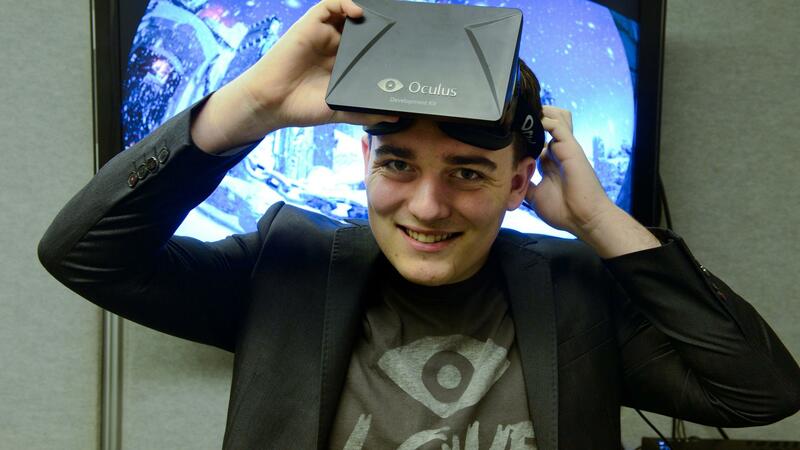 The youngest executive on the list, Palmer Luckey is the founder and creator of the Oculus Rift. Although virtual reality technology has existed prior to the modern age (See SEGA VR//Nintendo Virtual Boy) it has never had the capabilities which it now possesses. Before even having considered the development of Oculus Rift, Luckey was known to have an intense intrigue with virtual reality, and had constructed at least 50 VR headsets from scratch, paving his path to the creation of the Oculus. Palmer Luckey wielding a finished Oculus VR Headset. In 2009, frustrated by the poor quality and features of virtual reality headsets, Luckey set out to improve them. In 2010, at the age of 17, the first prototype of the Rift, dubbed PR1 was finished. Many prototypes later, at generation 6, the headset became known as the “Rift”. Then, John Carmack, a developer of DOOM and Quake noticed the device online, and contacted Luckey, asking for one. At the Electronic Entertainment Expo of 2012, Carmack utilized the headset, showing of a modified DOOM 3 utilizing the Rift for virtual reality. This led to the explosion in the Rift’s popularity. In 204, Luckey sold Oculus Rift to Mark Zuckerberg (founder of Facebook), for $3 billion. Luckey still works at Oculus VR helping improve the device. Michael Morhaime founded Blizzard Entertainment in 1991, under the name Silicon & Synapse, a company originally intended as a studio for developing ports of games only. By 1993, Morhaime and his team had begun work on their own software, and by 1994, they were purchased by Davidson & Associates, and renamed Blizzard Entertainment. In late 1994 Blizzard released their first title, Warcraft: Orcs & Humans to much critical acclaim. The RTS (Real-Time Strategy) game was touted as a breakthrough in RTS elements, bringing innovation to mission design, and gameplay elements for the genre. 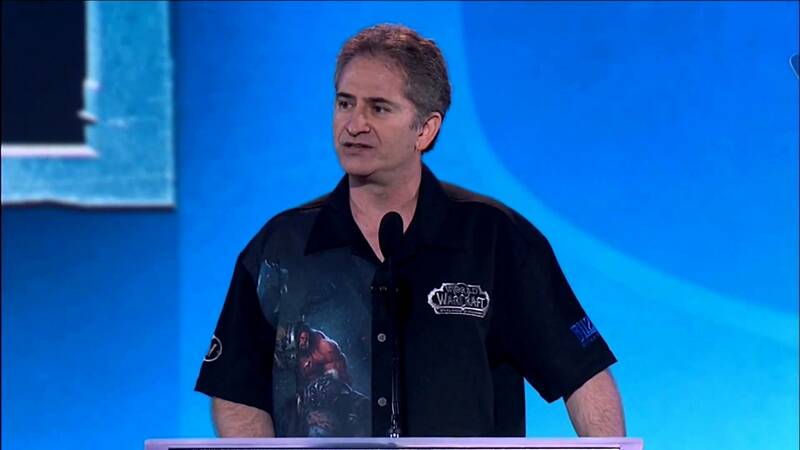 Michael Morhaime is known to attend BlizzCon each year and mingle with fans. Perhaps the most well known game by Blizzard is the ever-popular MMORPG World of Warcraft, first released in 2004. With a peak of 12 million online subscribers, and a remaining 5.5 million subscribers in 2015, World of Warcraft remains the World’s most subscribed MMORPG. Official GOG logo on a space background. 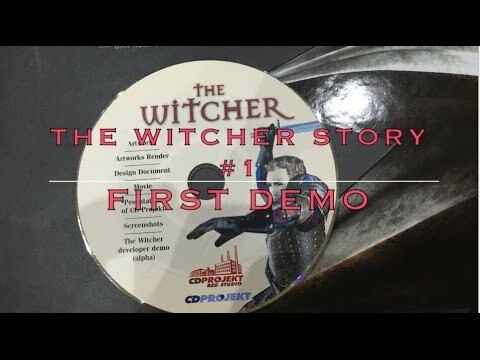 CD Projekt Red may seem like a big name in games, having produced the blockbuster series, The Witcher, and owning GOG.com, but the company came from a very humble beginning. After failing to qualify for a computing course at his high school, Polish native Marcin Iwiński was forced to take a mathematical physics course. In a turn of luck, Marcin ended up sitting next to his future business partner, Michal Kiciński. The two hit it off immediately, and began skipping classes to play games together. In 1994, the two decided to start a company, selling PC games on CD in Poland. After tiring of the distribution service, the two entrepreneurs began toying with programming and development. In Poland, the author Andrzej Sapkowski had written a series Wiedźmin, which had earned him the title ‘Poland’s Tokein’. The English translation of this title (as translated by CD Projekt Red) is The Witcher. Finding that the rights were owned by a mobile game company, but not being used, CD Projekt Red stepped in. Five years, and around $14 million later, CD Projekt Red released The Witcher 1 to mild success, leading to their continuing Witcher series today. 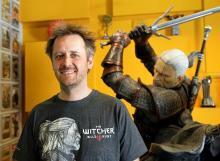 Marcin Iwiński posing in front of a very aggressive Geralt of Rivia statue at Projekt Red’s HQ. Known for the incredible and in-depth story of the Witcher games, as well as the DRM free competitor to Steam, Good Old Games, CD Projekt Red is still not a massive company, but certainly is making large changes to the industry. Specifically, keep an eye on discussions of their next project, Cyberpunk 2077, a game set to change RPG elements permanently in the genre. Sidebar fun fact: CD Projekt Red is so well respected in Poland that in 2011 when President Obama was visiting, the Prime Minister of Poland at the time, Donald Tusk gave him a copy of The Witcher 2 as a State gift. The Unity Engine has become one of the favorites for small or indie games, due to its low, low cost of free for casual game-makers, but that doesn’t mean that it isn’t just as powerful or robust an engine as Unreal or Frostbite. With available plans for many different sales or revenue options, Unity can be used for many games from blockbuster successes like ‘Pokemon Go’ (Niantic), or ‘Rocket League’ (Psyonix) to more indie games like ‘Unturned’ (Smartly Dressed Games). Mr. Riccitiello is an expert at marketing his brands too. Previously a Chief Operating Officer for Electronic arts, Riccitiello was often credited with boosting their game sales from $673 million to $3 Billion within seven years. Now, Unity and the Unreal Engine are seen more and more as being the two development engines which are “at war” vying for power within the developer community. 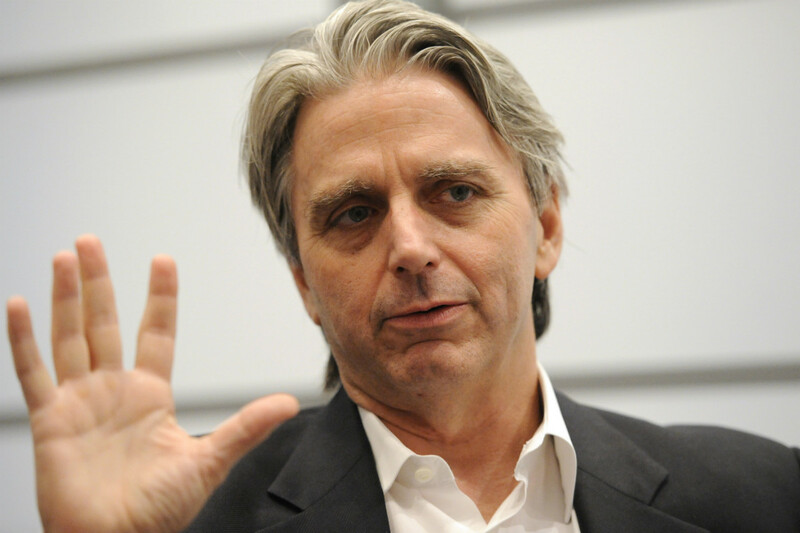 John Riccitiello headed EA as the CEO before moving to Unity Technologies. 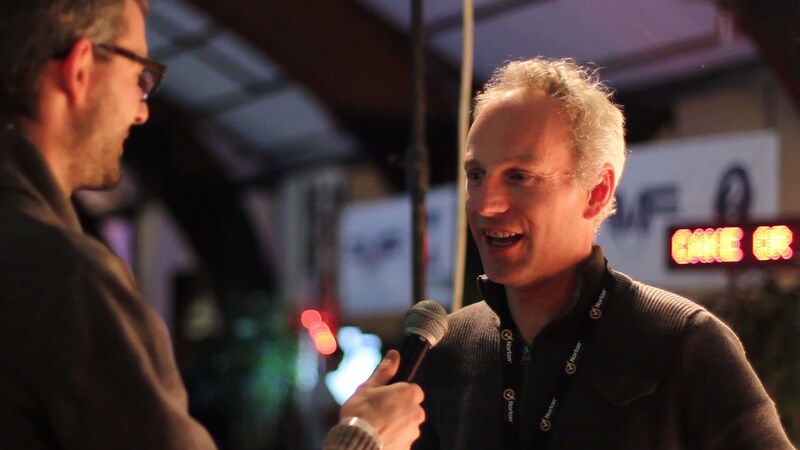 Tim Sweeny was recognized with an Induction into the AIAS Hall of Fame in 2012. 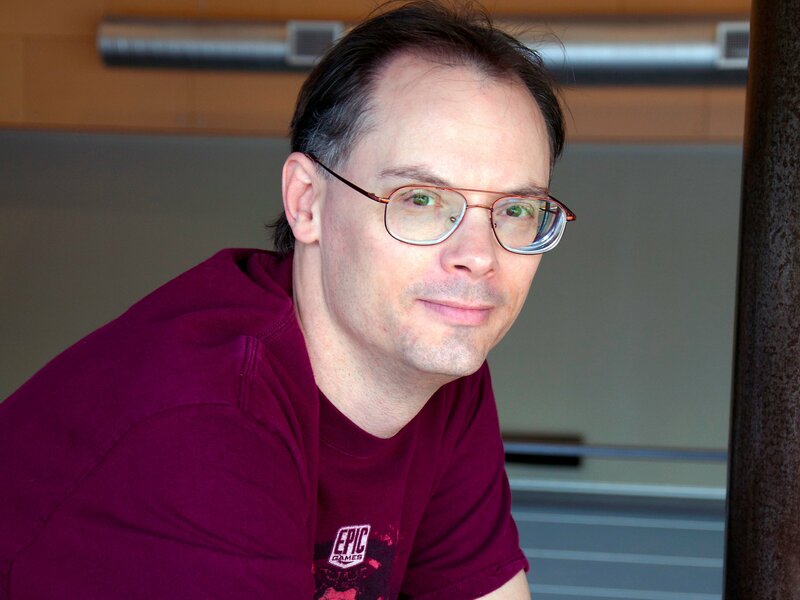 Most impressively, Sweeny was inducted into the Hall of Fame of the Academy of Interactive Arts & Sciences (AIAS) for technological innovations within the gaming industry, specifically, his work developing the Unreal Engine. Upcoming games running on the Unreal Engine include Crackdown 3, Dead Island 2, and Kingdom Hearts 3. Named one of IGN’s “Top Game Creators of All Time” and one of GamePro’s “20 Most Influential People in Gaming” Todd Howard has pushed game development forward with huge steps. Todd Howard is no programming genius or technology wiz-kid however, rather he understands the story and what players want. To quote his keynote from the D.I.C.E. 2009 Summit, "Don't define your game by a list of bullet points... define it by the experience you want people to have.". Think of Fallout 3, think of Fallout 4, now The Elder Scrolls IV: Oblivion, and V: Skyrim. These are not just games you play, they are an experience. 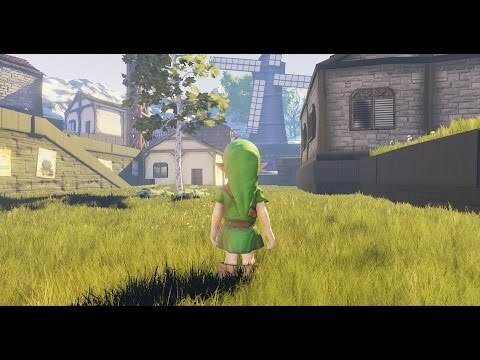 You play as whoever you want to be, however you want to play, exploring what you want to explore. Yes you could fire off a bulleted list of 300 locations, X many chests, Y many creatures, but these games truly shine when you have an experience with them. 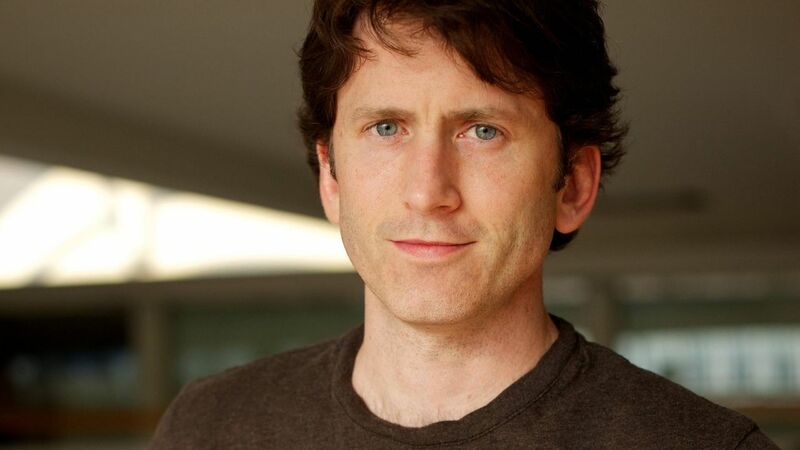 Todd Howard, overseer of Fallout 3, and 4, as well as The Elder Scrolls: Skyrim, and Oblivion. 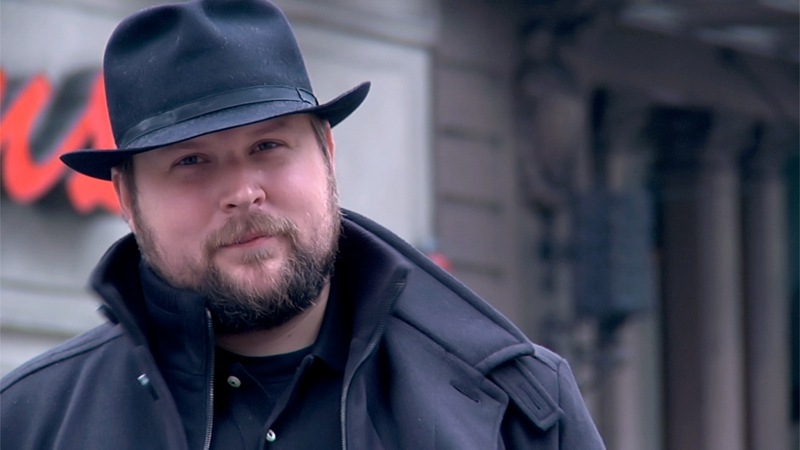 Markus Persson, also known as Notch or xNotch, has a success story for the ages. At the age of seven he began learning programming on his father’s Commodore-128 computer, and by age eight he had programmed his first game, a text-based adventure. 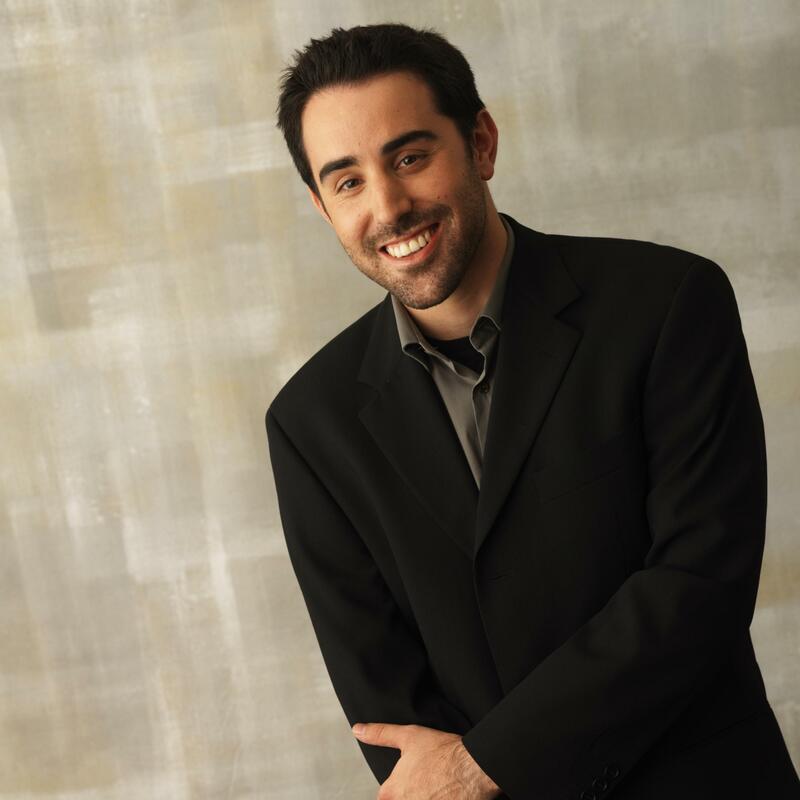 Dropping out of highschool, Persson continued working with computer programming, scoring jobs with Jalbum (A photo sharing service), as well as helping found the lesser known MMO Wurm Online. 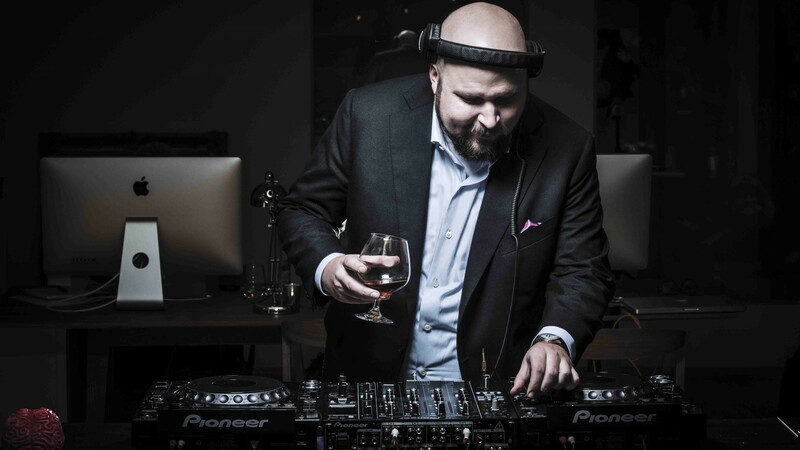 Markus Persson AKA Notch, founder of Mojang. Moving on from this, Persson began work on Minecraft in 2009, with a full release of the game in 2011. Then in 2014, feeling the pressure of running such a popular and now global game, Notch decided to sell his company, Mojang for a sweet $2.5 billion. Although Notch himself no longer works on Minecraft, the sandbox game sparked a generation of cube-based look-a-likes and the popularity of crafting and building in games skyrocketed. 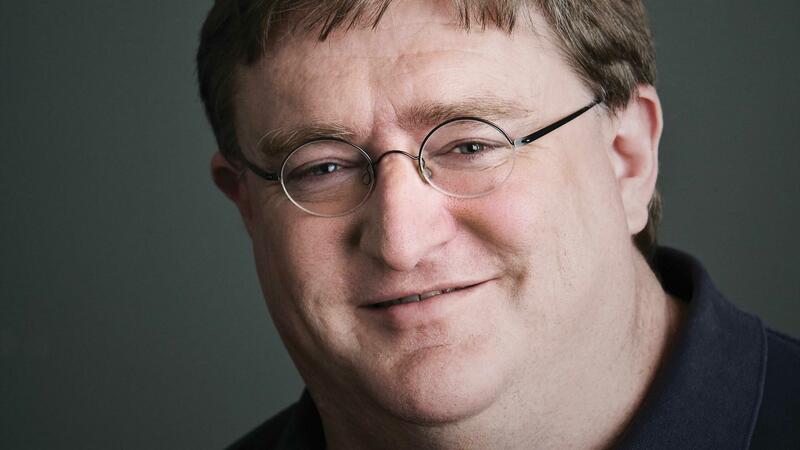 Gabe Newell the demi-god in the flesh. 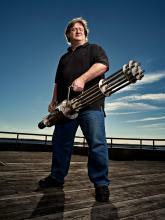 Co-founder and president of Valve, Gabe Newell is credited with massive innovations within the PC gaming industry. 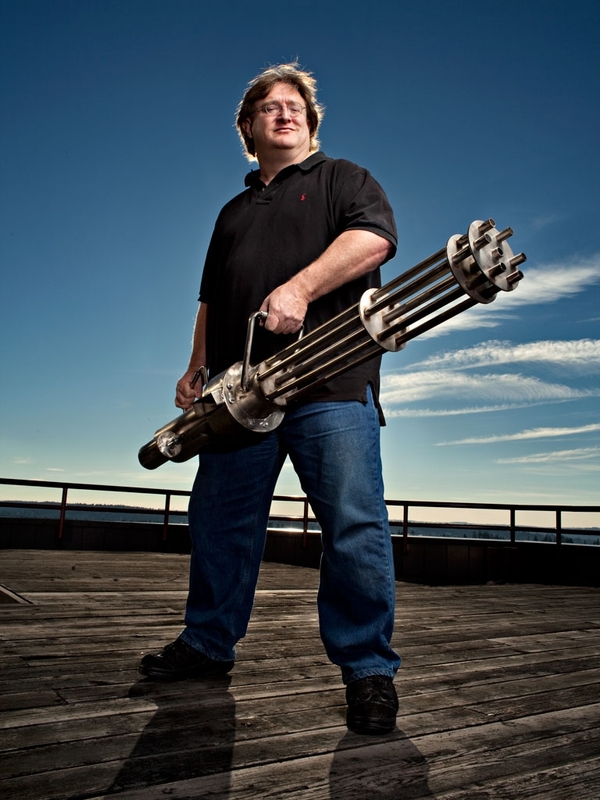 From the creation of Steam to Valve’s Source Code projects, Newell has pushed for change that alters the industry for the better. Without the implementation of Steam’s digital distribution service for games, digital downloads and sales would not be what they are today. Add in the forward push by Valve to develop devices like the SteamBox, as well as their work with HTC on the Vive for virtual reality, and it’s clear why Valve is so well known and respected within the PC community. Newell himself has achieved an almost God-like status among the PC community, particularly from Steam users for the amazing Steam sales, participation in community videos, and the ever-disappointing Half-Life 3 rumors. 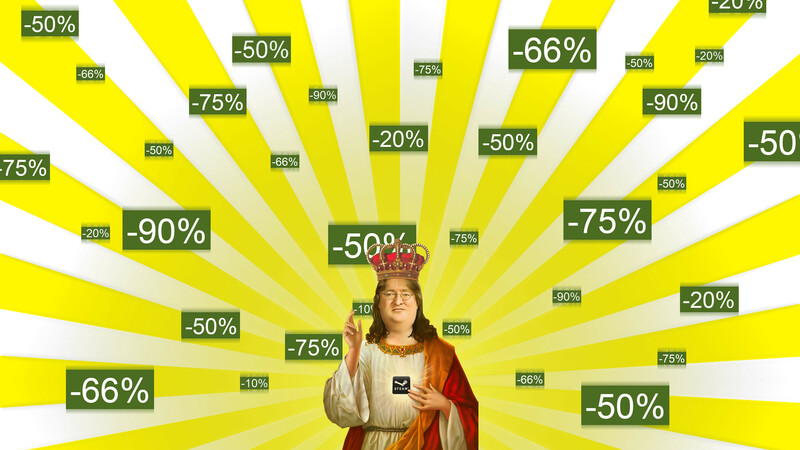 Gabe Newell is largely praised for the incredible Steam Summer and Winter sales. 2) Which is the Best Razer Gaming Mouse For You? 3) What Does Microsoft’s Talk with Minecraft Mean for Windows 10?